Last week I started discussing the pruning of spring-flowering shrubs and trees, but after diverting into the choice and use of pruners, delayed finishing the conversation till now. So let’s get back to the topic, and investigate how to do the important job of pruning plants that flower early in the year. Many gardeners plant something new, and for the first few years it does well, flowering abundantly, but after a time the plant becomes large, too bulky, and flowering is reduced. Too many people take hedge shears to everything in the garden, ‘trimming’ instead of pruning, and as a result the quality of their plants deteriorates over the years. Regular annual pruning is a much better choice, giving you control over the size of your plants, and stimulating them to give the maximum flower-display possible. 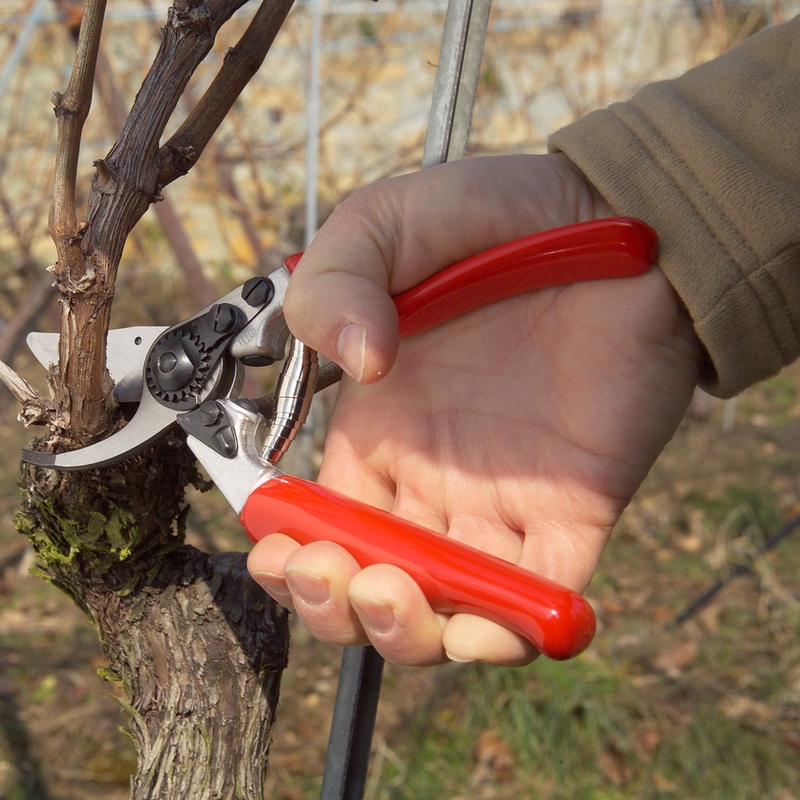 The purpose of pruning is to keep plants young and vigorous, and this is especially important for spring-flowering plants, where flowering takes place on older shoots, so a hard cut-back will eliminate it entirely for at least a year. To keep flowers coming, without your shrubs getting old and ugly, is the goal. So how to achieve that? First, a reminder of the basics. Timing is important in everything, and it is important with your shrubs too. The best time to prune plants that flower before June is immediately after the flowers have faded and fallen. This leaves the longest possible time for new growth to mature and ripen, and so maximizes the likelihood and intensity of the flowering display in the following spring. If you didn’t do it at that time, or realize that you didn’t do it properly, it is not too late to get out your pruners and set to work. Then you can get closer to the ideal timing next year. We did get as far last time as discussing removing dead flowers, and giving some tips on how to do it with plants like lilacs and rhododendrons, which don’t need intensive pruning. The purpose of removing those flower clusters is to prevent energy going into fruit and seed production, and divert it instead into flower-bud formation for the next year. In a sense, dead-heading sends a message to the plant that their reproductive efforts didn’t work out well, so best to try harder for next time. Of course, this doesn’t apply to plants where the fruit is attractive, and part of the pleasure of the plant, and clearly not to plants we grow for edible fruit, like apples or peaches. While dead-heading may be all some plants need, a fundamental step in pruning most spring-flowering shrubs is the removal of old wood. We consider wood to be old if it is, in most cases, 3 to 5 years old. By that stage branches will be thick, and very often they have lost some vigor, so they produce fewer blooms, or the blooms are smaller. Each year, when you prune, remove the oldest branches by cutting them back as low as possible, and certainly to a younger stem that is growing out low down. If there are several newer stems, they will often be in a cluster at a low point. Remove the branch directly above them. If the new stems are scattered all along the branch, then try to find something sturdy about two-thirds of the way down the old branch, and cut back there. Lilac is a good example of a plant that benefits from this approach. If you haven’t prune the plant much for several years, it may be all ‘old-wood’, so in that case remove about one-third of the old branches completely, and do the same in the next two summers. That way you will allow your plant to replace its branches gradually, so you won’t be sacrificing all the flowers, or giving it a big shock by cutting it back too harshly. This is the second stage of pruning your spring-flowering plants, and how much of this you do will vary from plant to plant. If you look at the structure of most of these shrubs, you will see shorter branches coming from older stems, and these shorter branches will have had flowers on them. In some cases, such as with the spring-flowering spireas of the ‘Bridal Veil’ type, an established plant can replace many branches, and you will get superior results with them by removing almost every branch that has send out flower-shoots. The plant will look a little thin for a few weeks afterwards, and you may think you have gone too far, but when you see the result the following spring you will know you did the right thing. In other plants, taking out all the branches that flowered is not the ideal approach. With forsythia, for example, this can result in very long, vigorous shoots forming, which grow a lot, but don’t flower much the following year. With plants like that, we want to avoid over-stimulating them, and this will also be the result if we do neglect pruning for a few years, and then do a drastic cut-back. Some plants – and this is true with crab-apples, flowering plums and cherries, and other related plants, flowering mostly takes place on what we call ‘spurs’. These are short side-shoots on older branches, and even forsythia will have these too. We can encourage spur-development by trimming back new stems that have flowered for the first time. Once the flowers fade, cut those stems back to a few lower leaves, and the plant will respond by sending out a cluster of short shoots at that point, giving even more profuse flowering the next year. Side-shoots that didn’t flower also respond well to this treatment. Trimming them back to a few leaves will encourage them to switch to flowering-mode, and after a few years you will see profuse blooming, on a nicely structured plant. Once the stem carrying these spurs is a few years old, you may see some loss of vigor, and reduced flowering. That is the signal to remove the whole branch, but by then you will have developed plenty of replacements, and the plant will benefit from the more open structure you create by removing the oldest stems. Good pruning makes all the difference in keeping plants simultaneously neater and more prolific in their blooming. Rather than let nature take its course, we can control the plants we grow, and divert them into giving us the best garden display possible. Careful pruning is the best tool we have to achieve that goal, and create an outstanding garden.